Well I’m happy to report, this week was a much better week than last week, thankfully. And although I still have a lot going on, I think some time out and relaxation last weekend made me much better able to cope with things this week. The sunny weather in Dublin over the past few days, as well as Coachella last weekend, has really got me (and the whole country I think) in the mood for festivals, travel, holidays, and lots of summer fun. And this was reflected in a lot of my Instagram pictures this week too as I was dreaming of sunny days and far away places. Last Friday I went to a charity for Irish Charity, First Light. It is an incredible organisation that gives support to bereaved parents and families. 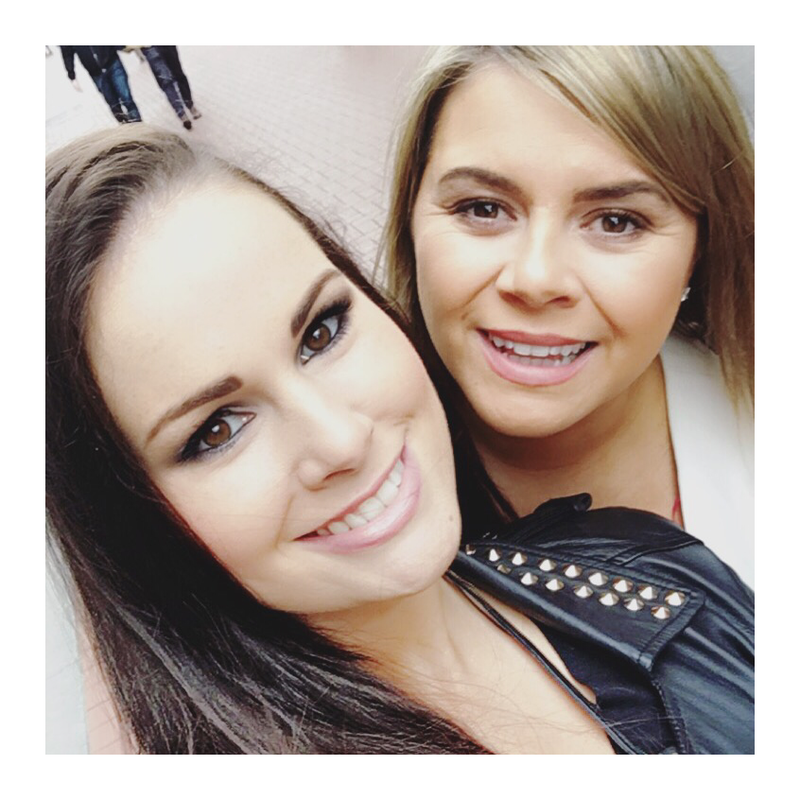 It was held in one of my favourite Dublin eateries, Fade Street Social, and this photo is a quick selfie I took of me and one of my best friends, Dearbhla, on the way in. 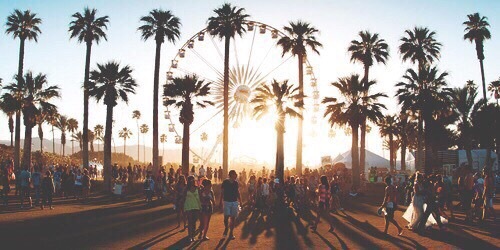 I came across this picture of Coachella on WeHeartIt, and immediately I was transported to sunny Palm Springs. What I would give to have been there, it just looked so amazing, not to mention the incredible festival fashion that all the celebs were rocking. But I’ve added this to my bucket list so maybe next year we’ll get to make a trip over! On Sunday my festival vibes continued when I shared this picture of me from the hen party I was at a few weeks ago. 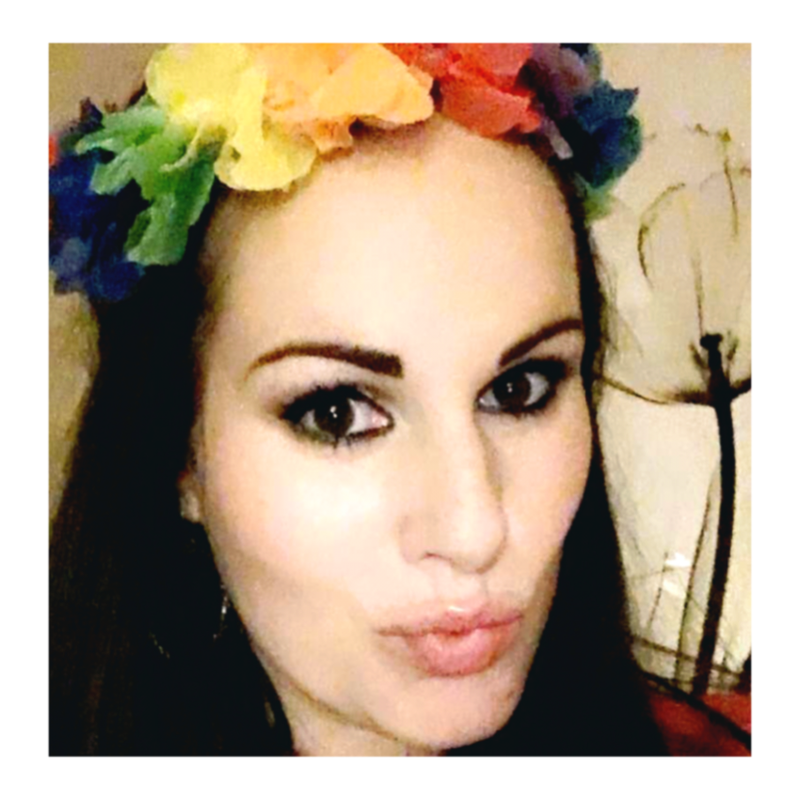 If you read that post you’ll know it was a Club Tropicana theme, and I was loving my flower crown that I got to wear. As I mentioned above, the weather has been incredible this week in Dublin. 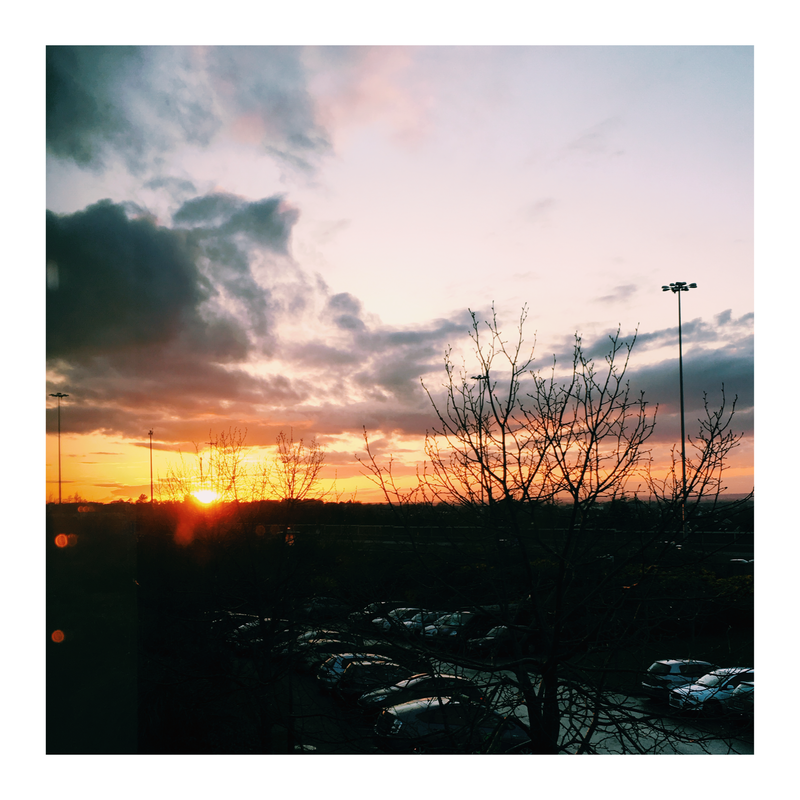 The sun has been shining every day, and on Monday evening I took this sunset picture while out for a walk. I’ve also been playing around with camera shots and my makeup trying to improve my photography skills. 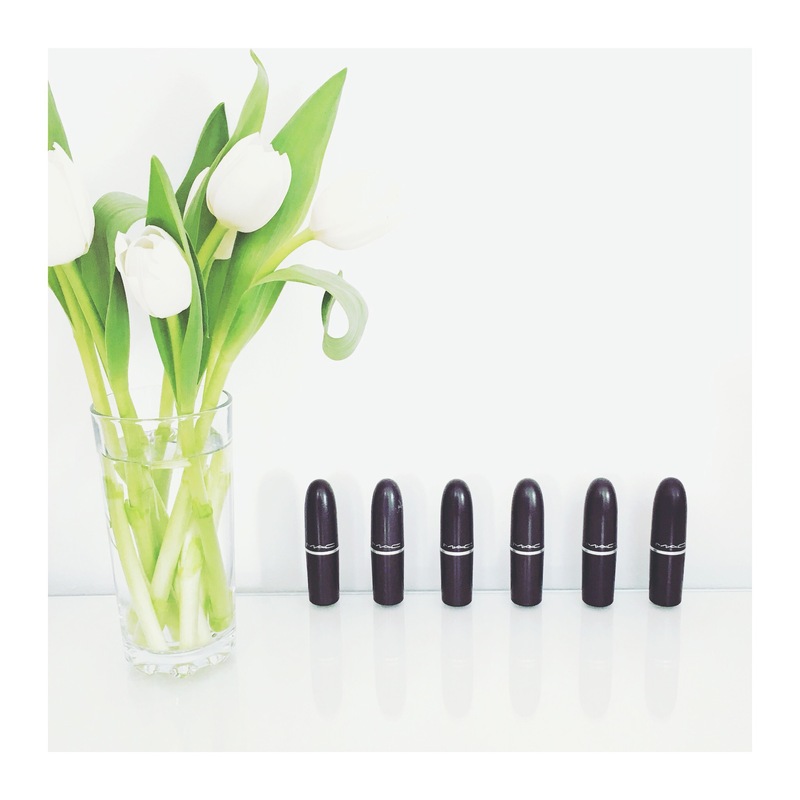 Using some lovely Tulips I bought at the weekend, I took this photo of all my favourite MAC lipsticks. I’m really trying to channel all my inner positivity at the moment, and for me, it really helps to read quotes, and look at inspiring images. 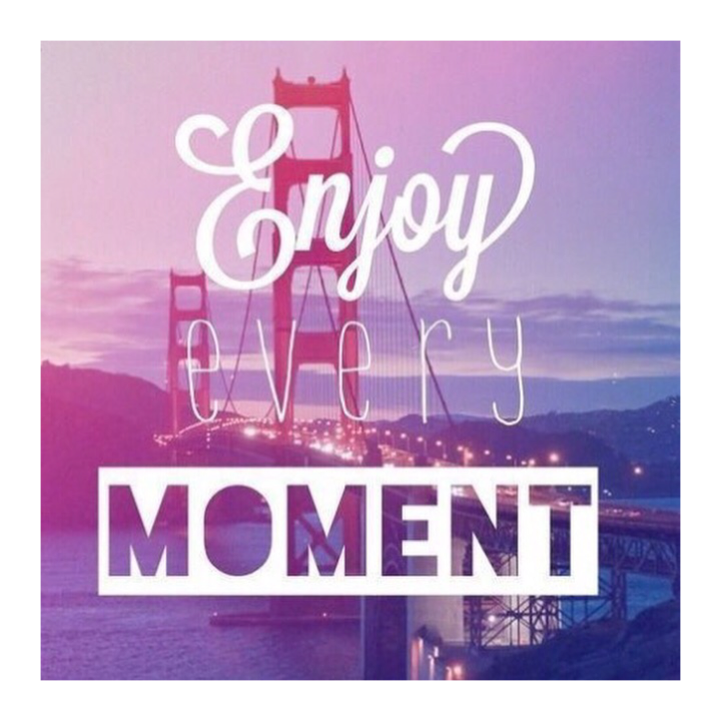 This image I came across on Pinterest just gave me all the feels… summer, love, travel, adventure and positivity! This photo is a photo of the outfit I wore to the charity lunch last Friday. 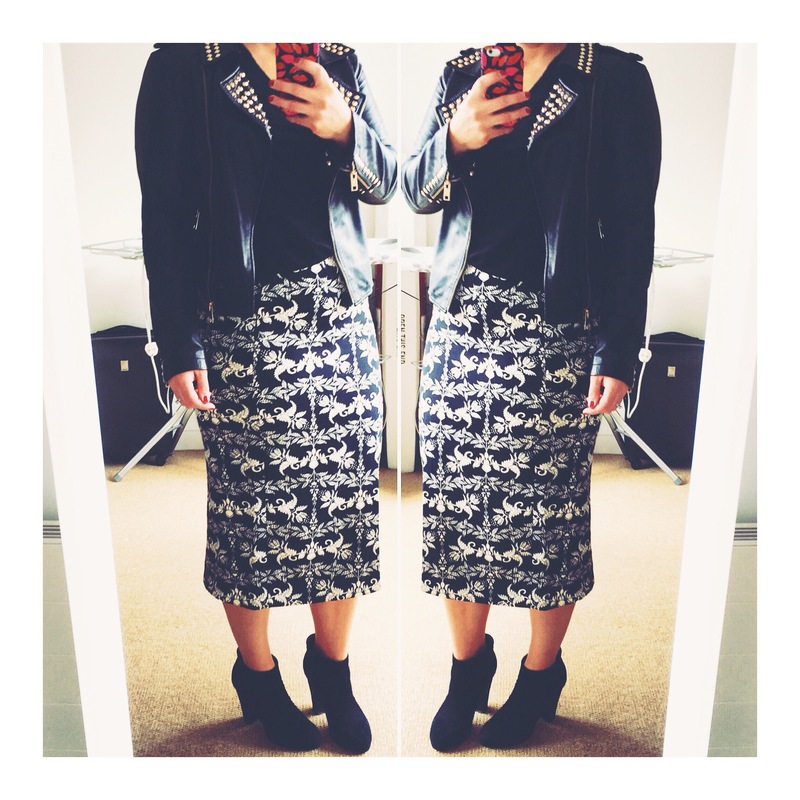 I love this skirt but as it was a daytime event, wanted to dress it down a little. So I decided to pair it with my casual ankle boots and my favourite leather jacket. 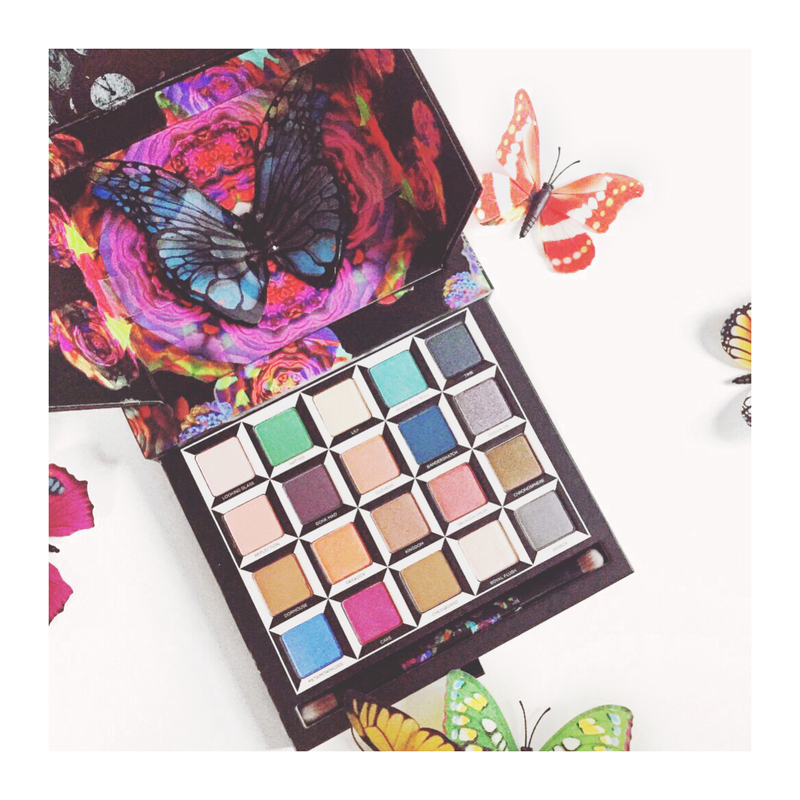 I also shared this picture of the new Urban Decay Alice Through The Looking Glass eyeshadow palette, because it is just so pretty. Oh these shoes, these beautiful shoes! 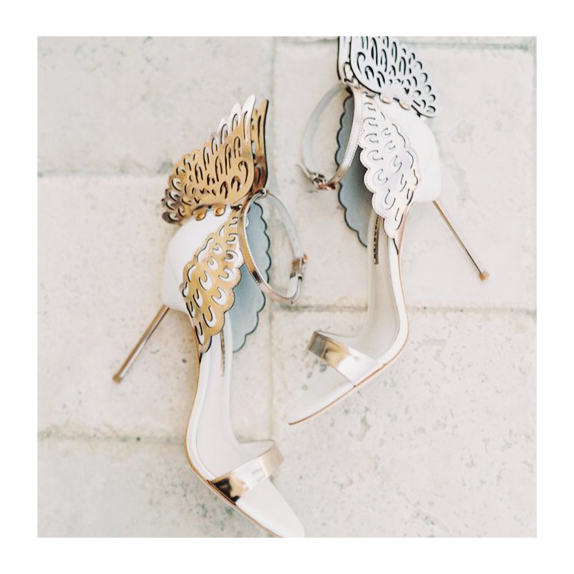 These Sophia Webster Angel Wings heels are high up on my wish list, I’ve been admiring them for so long and think I’ll just have to purchase soon. 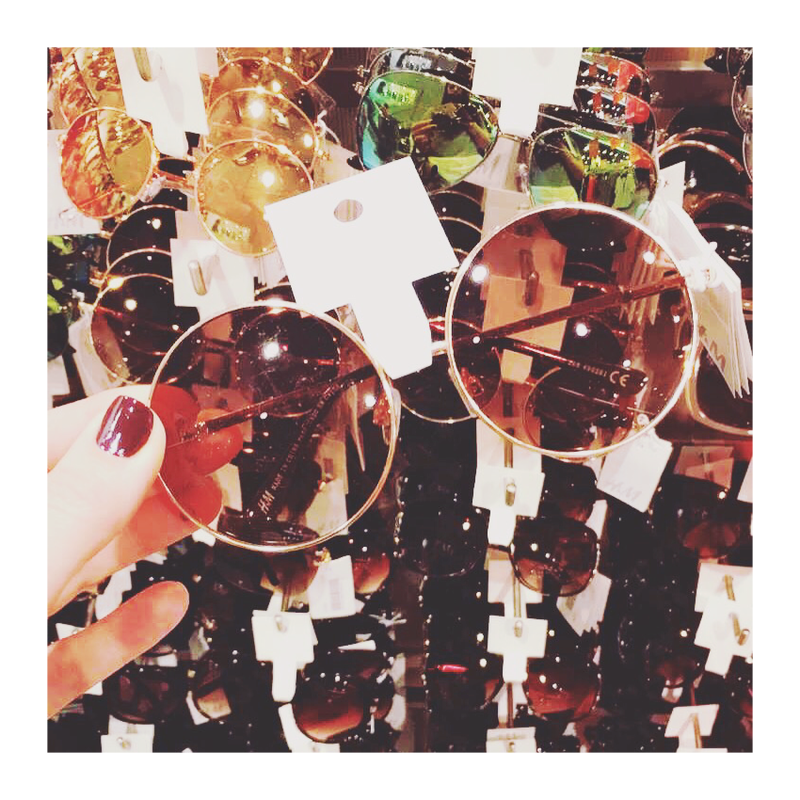 I also shared this picture of these cute sunglasses I happened upon in H&M. I’m loving circular shades this season and these were an absolute bargain at €9.99! Yay, we made it through the week. 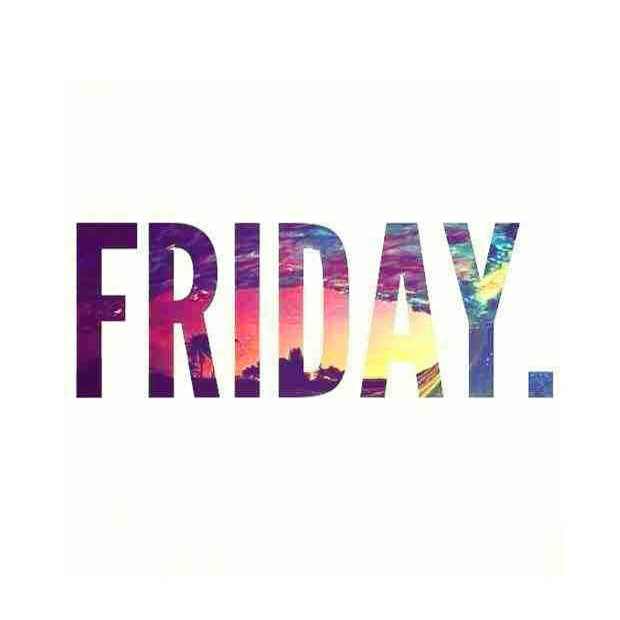 I do love a good photo picture of a Friday and this Friday is no different. Today I went for this picture which is keeping in with this week’s summer Instagram theme. I’m off out tonight with one of my best friends for a girly dinner and let me tell you, am seriously in need of it, and a big glass of vino! So I will be counting down the hours today. I hope you all have a lovely Friday whatever you’re up to!